Audi RS7 Sportback Running Costs, MPG, Economy, Reliability, Safety | What Car? 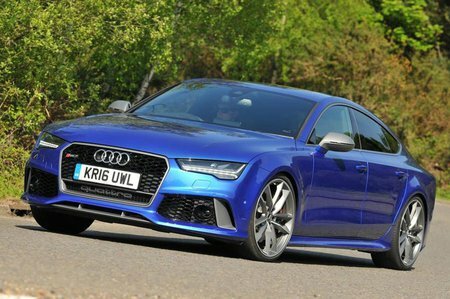 We’re not going to pretend that the RS7 is cheap, but neither are its rivals and the Audi manages to undercut the M6 Gran Coupe, Panamera Turbo, and the CLS C63 S. It is a heck of a step up in price from the standard A7 though, so do think about whether all that mighty performance will really benefit you. 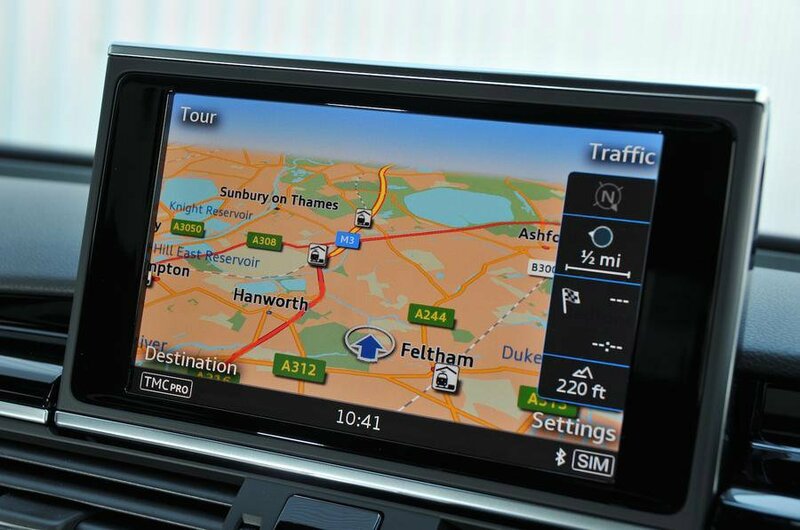 Spec levels are generous for the RS7 Sportback, with the standard model coming with four-zone climate control, all-round parking sensors, a head-up display, 20in alloys and a 7.0in infotainment system with sat-nav. Upgrade to the Performance edition and you’ll get the engine upgrades along with a sports exhaust, 21in alloys and some sporty interior flourishes to distinguish it. You pay so much for the upgrade though, and the standard model is already so blooming fast, that we’d stick with that and save the cash for some track days and the requisite replacement tyres you’ll need. Among the options list there’s an expensive Dynamic Package Plus available. It increases the top speed limiter from 155mph to 189mph, adds fade-resisting 20in ceramic brakes, changes the air suspension to steel springs to further reduce body roll, and gives it a variable steering set-up that gets quicker the more you turn the wheel. Again, unless you are desperately searching to shave off some lap time, this is simply too expensive to recommend. There are a number of other options to be considered, including a self-parking system, upgraded audio equipment, and a rear-seat entertainment system. Because of its cracking performance, the running costs are predictably high. Fuel economy and CO2 emissions are poor next to a big, luxury diesel, but broadly inline with all its rivals. Six airbags are standard – including front, front side and curtain airbags – and you can add rear side airbags for a reasonable amount extra. Other safety equipment such as adaptive cruise control, blind spot monitors and lane keep assist come as part of what Audi calls an Assistance Pack. 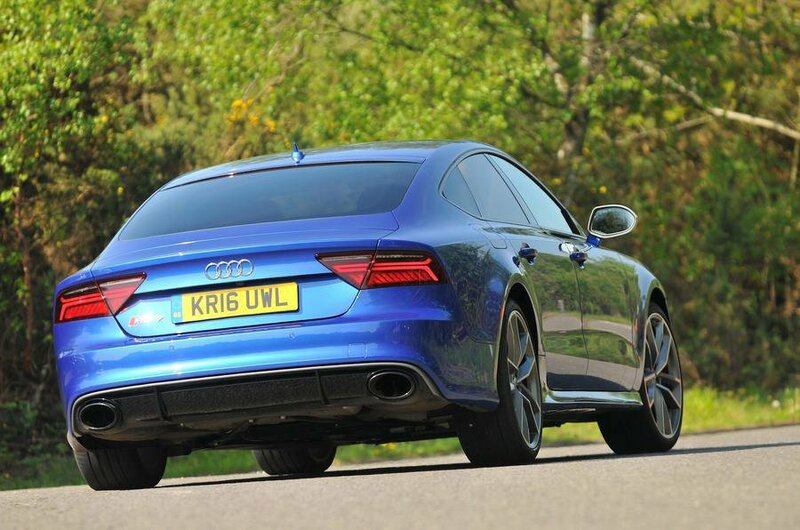 The RS7/ A7 models haven’t been crash tested, but Euro NCAP gave the A6 saloon on which it is based 5 stars back in 2011. A standard warranty of three years or 60,000 miles isn’t particularly special, but you can pay to increase that up to five years. That might be worth thinking about if you’re intending to keep your car, because going by our most recent reliability survey, Audi’s record isn’t very good.